Lots of playtime can leave a doll with very messy hair. This guide is about fixing frizzy doll hair. 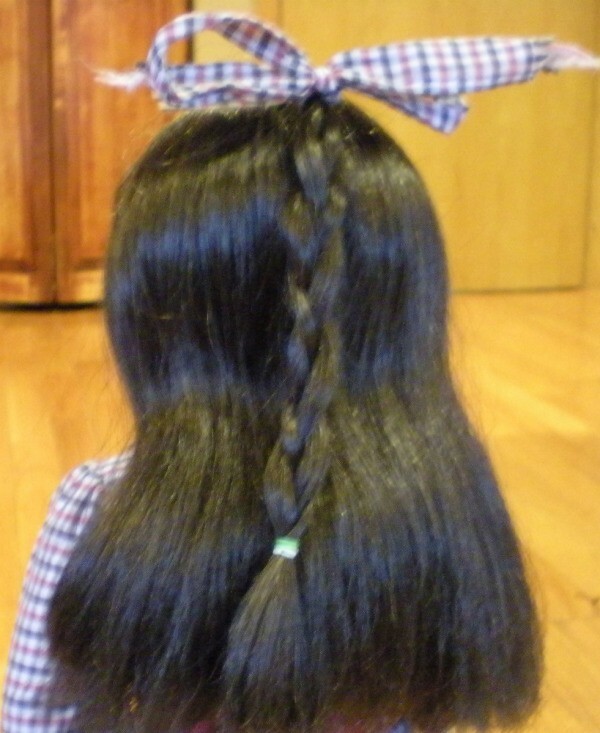 This is an easy and inexpensive way to repair American Girl Dolls' hair using household items. First, you wash the doll's hair using directions on wig shampoo container. Rinse completely using lukewarm water, then pat dry gently. Pour water and fabric softener into large container, or a sink. Gently massage water/fabric softener mixture into doll's hair and let soak for approx. 1 1/2 to 2 hours in the mixture. After soaking, rinse doll's hair in lukewarm water until mixture is completely removed. Gently brush doll's hair with wig brush. If you have the American Girl brush, feel free to use it. But if not, you can find a wig brush at your local beauty supply store. After brushing, pull hair into three sections and braid. If the ends are really frizzy and you can't braid them at the ends, spray with a hair detangling spray and wrap a hair tie around it. Allow to dry for about 2 hours then take out of the braid(s). Gently brush the hair, and then leave to completely dry overnight, and then brush again. Enjoy your American Girl Doll's defrizzy hair! You may need to do this multiple times to get full effect, but remember to space treatments apart. My mom was a doll doctor. She would wash the doll hair with dish detergent. Allow it to dry. Use a curling iron to style it. Spray with hair spray to hold. Use the same process you would with a wig. Question: How do I fix frizzy doll hair? I bought 2 used American Girl dolls for my daughter, they both have slightly frizzy hair. Does anyone know of a way to improve the hair so it will be less frizzy? Try AmericanGirl.com. They have a Doll Hospital and tips. Wash the dolls hair with a shampoo made for color treated/damaged hair. Then saturate the hair with a heavy conditioner like Infusium or Pantene. 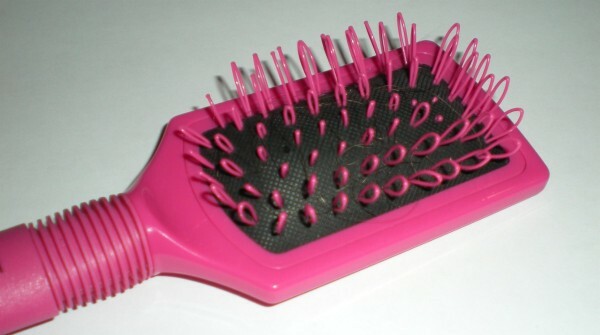 Carefuly comb through the hair with a large tooth comb or hair pick. Let the conditioner sit for an hour or so and then gently rinse. Don't rinse all the conditioner out, leave a little in so the hair feels slick. Comb out straight and let dry. 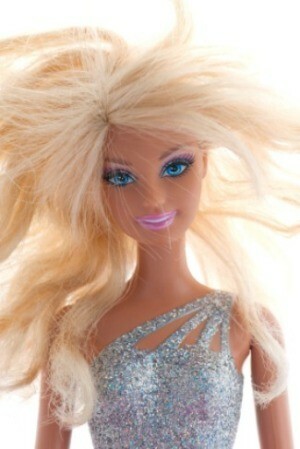 This works well for Barbie hair. Their things are a little expensive, but well worth it to care for dolls that are collectable or will be played with for a long time, and a little bit goes a long lng way. They also offer free advice and are super nice, just email them! HTH! justmagicdolls.com has tips for washing and they do a downy dunk---for frizzy hair they reccommend using a steamer--check it out--I found it trying to restore some of my older daughters dolls for my younger one. I contacted american girl originally. They have the doll hospital, for $25 they will brush the hair, for $40 they replace the head. You have to pay initial shipping plus $7 or $8 return shipping. I did the color treated hair conditioner suggested above. That did pretty good for one doll but the other is beyond help but better than it was. I use Crisco baking lard it truly works the best; once the lard has sat for at least one hour I then microwave just the head (if possible) due to metal parts that maybe on the inside. Just for 60 seconds on high!!! when its done use a glove just in case and comb the hair.. works the best.. You can clean the excess lard out if desired though if left in; it gives a beautiful sheen.. not too much of an odor. Also, try fabric softner. It does wonders for tangles as well as frizz in doll hair. Look at this site...has some great advice! You can either take baby shampoo and mix it with baking powder with water or use wig shampoo. Easy! I just discovered this on a website last night. Fixing frizzy, tangled, matted Barbie doll and Bratz doll hair. Steam! I boiled a pot of water and held the doll over it upside down, then immediately began to comb, repeat 1-4 times as necessary. I did 12 dolls with great results. Some I wrapped the hair around a pencil, held over the steam, then clipped with clothespins till this morning. Curls! 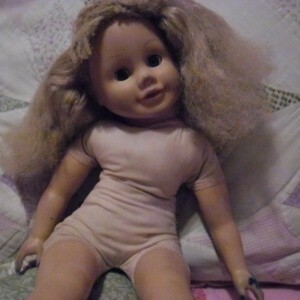 I was able to save a baby doll with crazy hair - steamed then twisted into little curls and fluffed. I can't believe how easy this is! Here is the admittance form. Question: How Do I Repair Burnt Doll Hair? How do you fix your doll's hair when it is burnt? It is not a Barbie doll? Sadly, when it's burnt like that, there isn't much you can do. If it's synthetic, it might have melted, but if it's natural, it's ruined, too. The doll looks like an American Girl. I suggest sending her to a doll hospital or doll restoration expert. It might be a shade expensive, but they're trained in putting in new hair and can probably teach you how to keep it from being burned in the future while still styling it. If it is a ceramic doll you can find replacement wig type hair to put on the doll. you can use a small amount of hot glue and stick it on. I have replaced the hair on my daughters doll three times now, once after a bad hair cut, once after burns from a curling iron, and the last time she wanted the doll hair to match hers. I recently purchased a Build-a-Bear Pinkie Pie plush pony that I adore! One issue is that her hair is already frizzing some. I tried to brush it, but it made the frizz worse. Is there a way to de-frizz and clean her hair safely? It is doll hair on a plushie. And if I do wash and condition it (if that is safe) is there a safe way to put the curls back in? Please let me know if you know anything about this. Isn't that odd! I just spent the morning combing out my oldest daughter's Pinkie Pie. I honestly thought it was a lost cause but I tried anyway. I used undiluted Downey fabric softener, just poured it on my hands and worked it into the mane and tail, gently working out tangles with my fingers as I could. I then used a detangling brush and brushed the ends out first, working my way back to the body. It took a very long time, and some mats were too far gone and had to be cut out with tiny nail scissors, but she looks fabulous now. I rinsed out the fabric softener and rolled up sections with pipe cleaners. Next day, I took the pipe cleaners out and she looked lovely. Thanks for the tips, everyone!